The badge was instituted on July 11, 1908. 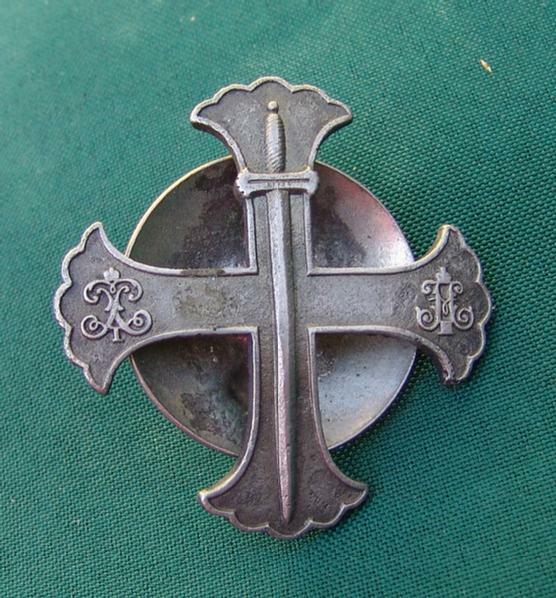 Palmed silver cross for servicemen (soldiers). On the center of the arms, are monograms of Peter I and Nicholas II. 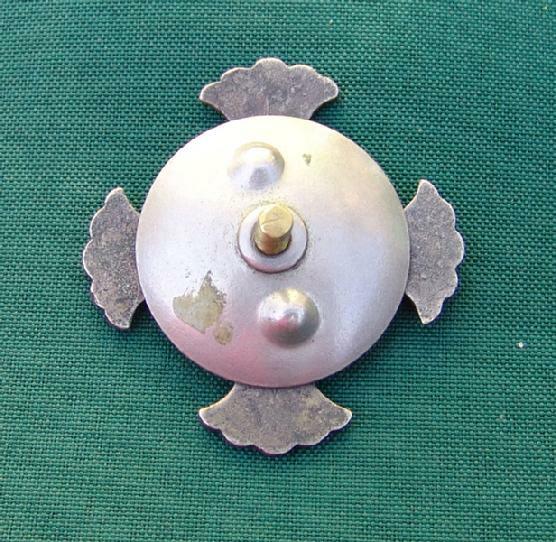 Superimposed on center is a silver sword with blade pointed downward. 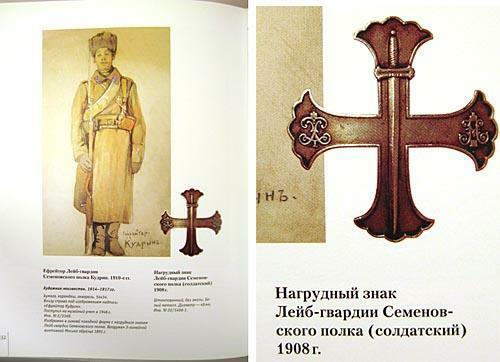 The cross and sword are the type depicted on banners during the time of Peter the Great. One of the most famous Russian Imperial Regiment. The Life-Guards Semenovsky infantry regiment was formed in 1683 and was one of the most prestigious regiments in the Russian Imperial army - one of the very few so called "Old Guard" regiments originally formed by Peter the Great. The regiment took part in all important military campaign of the 18-19 centuries such as war with Sweden of 1700-1702, Napoleonic Wars of 1812-14, and many others, including WW1. It was the 2nd regiment of the 1st Guards Infantry division and was stationed in Saint Petersburg. 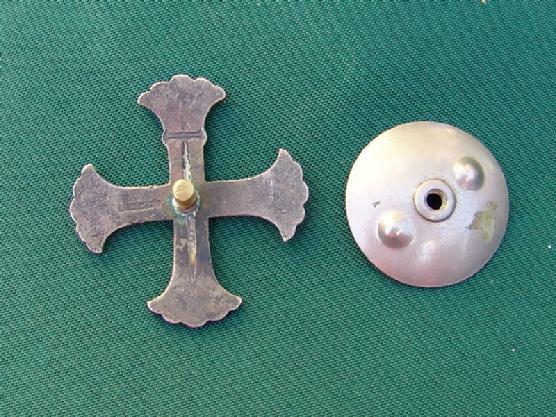 The cross and the sword of the badge are the type depicted on banners during the time of Peter I. 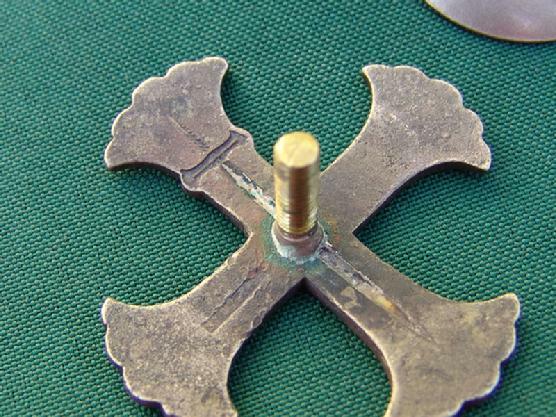 The badge was established on July 11, 1908 to commemorate 225th anniversary of the regiment.